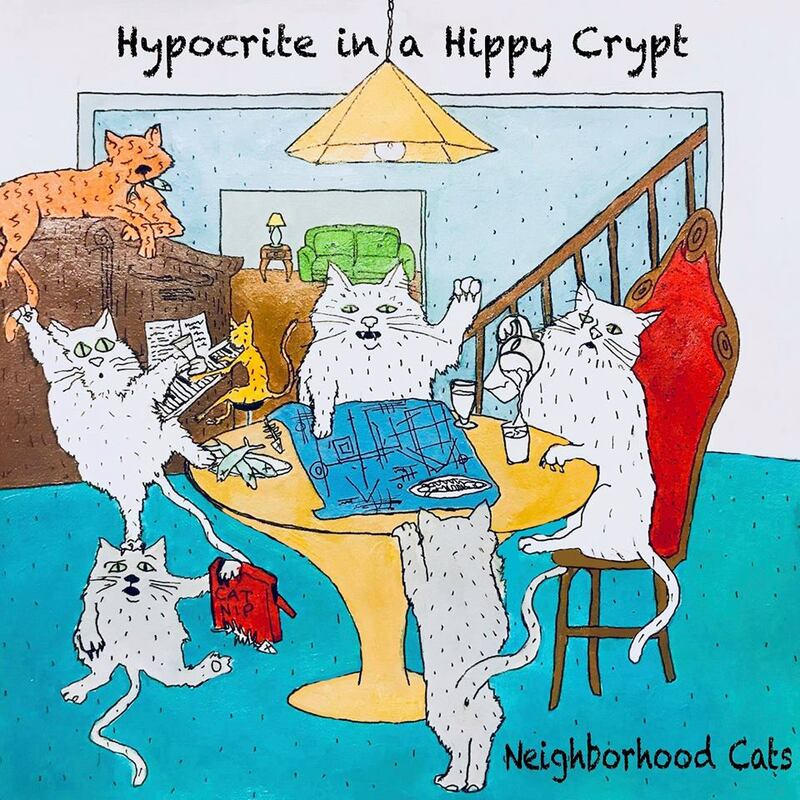 Hypocrite In A Hippy Crypt began life in Bloomington, Indiana with the outfit’s somewhat mysterious musician, whose name eludes us was whipping up songs in his basement and bedroom to stave away the late-night boredom. Now based in San Diego, the outfit has released ‘Neighborhood Cats’, the first track to be lifted from their forthcoming new album, Vegas of Feelings, which is expected sometime in July. ‘Neighborhood Cats’ captures their sound perfectly; this is a lo-fi indie-pop sound with a dash of folk, psych and sunshine – with an Elliot Smith, Weezer, and the Beach boys influence helping to shape the sound. An upbeat, bright and chipper riff driven jam, snappy, peppy drums mingle with warm acoustic chords, melodies, riffs, grooves and hooks you could hang your hat on. Catchy, sunkissed and beautiful – it’s great! Check out ‘Neighborhood Cats’ below & keep an eye out for the new record come July!